It’s practically official, if it wasn’t already. Mario Balotelli has no future at Liverpool and will leave the club this summer. The Independent are reporting that the club, under Brendan Rodgers’ instruction, is actively trying to find a buyer for the 24-year-old Italian – who has been deemed completely surplus to requirements. The striker has even been asked to train alone, away from the first-team as the manager tries to ready his squad for the Premier League opener at Stoke in just over a week’s time. The report claims that Liverpool are looking to secure around £10m for the player we spent £16m on last summer. Rarely has Rodgers ever asked players to not train with the first-team squad, which explains just how little our manager rates the former AC Milan man. Tellingly, Rickie Lambert, the report mentions, is training with the first-team still, despite being on the verge of a move to West Brom. 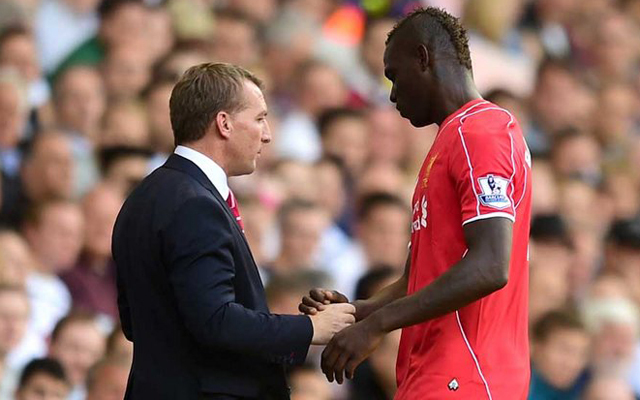 It’s clear that Rodgers thinks Balotelli’s attitude is poisonous, and wants him out the way to get on with business. Many fans note that we’re not giving Balotelli’s talent and potential a chance to flourish, but in fairness to the club – they simply haven’t got any more time to invest in a forward who scored one Premier League goal during 2014/15 – and played consistently poorly. Rodgers and Balotelli are not going to succeed together, so with Rodgers staying, Balotelli needs to move on so as not to digress further.